Lindt Swiss Thins with free Roli Tilak and Chawal. Finest Swiss Chocolates for your Loved ones. Lindt Swiss Thins ( 125 Gms. 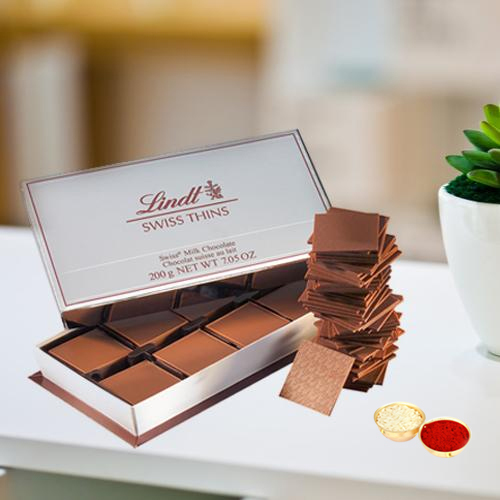 ).Lindt Swiss Thins -This imported soft swiss made Delicious, mouthwatering and tempting chocolates are an ideal gift for the chocolate lovers. with Roli Tilak and Chawal.